Both Sally and Fiona are employed by IPEM as External & International Services Managers and part of their role is to manage the CASE Accreditation process. They can be contacted through the website. Each Member Organisation nominates up to three of their own members to represent their interests on the CASE Committee. The Committee is responsible for implementing CASE policy and strategy as determined by the Consortium and the day to day operations including approving accreditations. Further details can be found in the CASE Committee Terms of Reference. Heather originally trained at Guy's Hospital and has worked in ultrasound education since 1990, combining various teaching roles with both clinical practice and research. Her current role is Programme Lead for ultrasound at the University of Derby where they offer training opportunities in a wide range of ultrasound applications including general medical, vascular, cardiac, point of care, obstetrics, fertility and gynaecology. Heather has a specific interest in the physics and technology of medical ultrasound and has written and taught extensively in these areas, including the development of e-learning material for the RCR Radiology Teaching Initiative and for the College of Emergency Medicine. In addition to her role as a CASE accreditor and representing I represent BMUS on CASE Council, Heather is a member of the College of Emergency Medicine Ultrasound Sub-Committee, a member of the NAAASP QA group and an Associate Member of SVT. Heather's current research interests include the use of ultrasound in a range of acute settings, ultrasound QA, and patient experience of imaging examinations. Before moving into higher education, in 2010, Gareth was a Senior Radiographer/Sonographer for over ten years (specialising in general medical, vascular, obstetric and gynaecological ultrasound practice). He is currently Programme Leader for the MSc Medical Imaging (Ultrasound) at University of Cumbria. Gareth regularly undertakes clinical practice in ultrasound at his local NHS trust and remains a HCPC registered diagnostic radiographer. He is a Fellow of the Higher Education Academy (HEA) and is external examiner for the MSc Medical Ultrasound at another UK HEI. His research interest is Work-related Musculoskeletal Disorder (WRMSD) in ultrasound practice in the UK, and he is currently working towards a PhD, studying at Lancaster University. Gareth has been an accreditor for CASE for several years now and was elected onto British Medical Ultrasound Society (BMUS) council (January 2018) for a 3 year term and is now delighted to be representing BMUS on CASE committee. Mike is a Physiotherapist by original training and has worked in Physiotherapy education for the last 14 years having become a Fellow of the Higher Education Academy. More recently Mike secured a prestigious £170,000 PhD Fellowship from Arthritis Research UK which included him retraining as a Diagnostic Sonographer. He completed his CASE approved Post Graduate Certificate in Medical Ultrasound via the School of Medicine at Cardiff University, specialising in musculoskeletal ultrasound and more especially the shoulder. Stemming from his training, Mike lead authored “A training, assessment and feedback package for the trainee shoulder sonographer” (Ultrasound. 2015 Feb; 23(1): 29–41.) which was subsequently cited in the 2015 SCoG and BMUS “Guidelines for Professional Ultrasound Practice”. Alongside supporting the BMUS Musculoskeletal Ultrasound study days, Mike sits on the BMUS Professional Standards Group Committee. Mike is passionate about the highest standards in ultrasound education and practice and initiated the process of the CSP joining CASE. Stuart is an Extended Scope Physiotherapist and MSK Sonographer working in the NHS. He divides his time between teaching MSK Ultrasound, and using it in clinical practice in a Physiotherapy department at The Homerton Hospital and Radiology at The Royal Surrey County Hospital . He is a qualified MSK Sonographer, with a PG Cert and CASE accredited qualification from Canterbury Christ Church University. He qualified from the University of Southampton in 2003 with a BSc Physiotherapy, and went on to gain an MSc in Advanced Neuromusculoskeletal Physiotherapy at The University of Hertfordshire. He is an active member of the executive committee of EPADU (Electrophysical Agents and Diagnostic Ultrasound) special interest group, helping develop the use of diagnostic ultrasound in Physiotherapy within the UK and ACPOMIT (The Association for Chartered Physiotherapists with an interest in Orthopaedic Medicine and Injection Therapy) who oversee the use of injection therapy. Jai is an Enhanced Role MSK Podiatrist working for PhysioWorks-Sheffield Teaching Hospitals NHS Foundation Trust, with over 25-years’ clinical experience. He has been using diagnostic ultrasound routinely in clinic since 2003, and injection therapy since 2008; he has completed his CASE approved Post-Graduate Certificate in Medical Ultrasound from the University of Teesside. Jai has published several original papers, with an interest in plantar fasciitis and ultrasound, as well as peer-reviewing for a number of journals. He has educational experience; in 2000 he was part of the team that developed the first MSc in Podiatric Biomechanics in the UK at Staffordshire University where he wrote and delivered one of the modules, he has also spent time has a clinical supervisor at Huddersfield University. He is an active member of the College of Podiatry, Committee of the Directorate of Podiatric Medicine, Ultrasound in Podiatry, Specialist Advisory Group, providing clinical representation for musculoskeletal matters. Lisa is currently a lecturer at Glasgow Caledonian University, teaching on the undergraduate podiatry and postgraduate ultrasound programmes. Lisa graduated from Glasgow Caledonian University with a BSc (Hons) in Podiatry in 2008, and in 2010, qualified with a CASE accredited PgCert in musculoskeletal (MSK) ultrasound of the lower limb. Since qualification, Lisa currently utilises MSK ultrasound in research, teaching, mentoring and clinical practice. Key research and clinical interests include the use of MSK ultrasound for foot and ankle assessment in the field of rheumatology, where her doctoral research project was titled ‘Foot involvement in early rheumatoid arthritis: A prospective ultrasound study’. 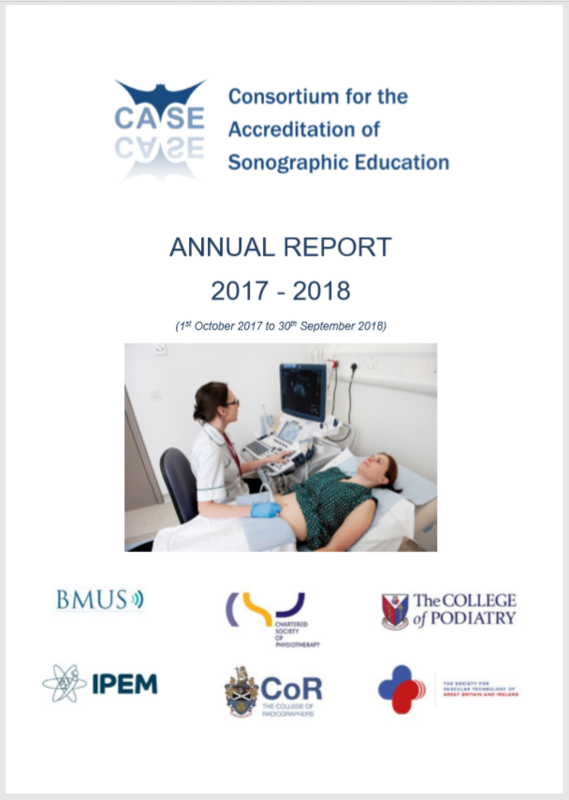 Lisa is an active member of the College of Podiatry, Directorate of Podiatric Medicine Specialist Advisory Group for Ultrasound in Podiatry, in the role of Directorate of Education. After completing a physics degree at University of East Anglia, Crispian obtained an MSc at Aberdeen and was employed in the Regional Medical Physics Department in Newcastle. He has worked in the field of medical ultrasound for 30 years specialising in vascular ultrasound and teaching the physics and technology of ultrasound. Crispian currently manages 3 vascular laboratories and in the past has been the vascular module leader at Teesside University. Crispian currently leads the Vascular Modules for the Modernising Scientific Careers course at Newcastle University and is a guest lecturer at University of Cumbria. Professional commitments have included President of SVT, Chairman of SVT Professional Standards Committee, Member of Ultrasound Advisory Group at SCoR, Member of BMUS Scientific Committee and he is currently representing IPEM on CASE. Qualifying as a radiographer at the Kent and Canterbury School of Radiography in 1982, Gill has held a variety of clinical posts before becoming a specialist clinician in ultrasound and computerised tomography. Gill gained her Diploma in Medical Ultrasound at the Middlesex School of Radiography in 1987 and, in 2002, successfully completed an MSc in Interprofessional Health and Community Studies at Canterbury Christ Church University College. In 2001 she was seconded to what was then Canterbury Christ Church University College as Practice Placement Co-ordinator to carry out a research project on the radiography undergraduate clinical placements. The project was published in 2003 and it was at this time that Gill moved into the world of Allied Health Professions education as the Programme Director for the MSc Medical Imaging Programme at Canterbury Christ Church University. Gill is also the new Professional Lead for Radiography within the Department of Allied Health Professions at Canterbury Christ Church University. Gill has served on the Society and College of Radiographers UK Council since 2005 and was President of the SCoR from July 2009 to July 2010. She has also served on the Allied Health Professions Federation from November 2008 to May 2012; acting as Chair of the AHPF from May 2010 to May 2012. Gill has been a member of the British Medical Ultrasound Society since 2000 and chaired the SCoR Ultrasound Advisory Group from 2007 to 2009. In 2007 she became one of the SCoR representatives on CASE and remains in this role as an accreditor and Committee Member; between 2013 and 2016 Gill held the role of CASE Chair. After training as a Radiographer and Sonographer Gill moved into education and is now Senior Lecturer, Ultrasound Programme Director at City University London and continues to work as a clinical sonographer in the NHS. In addition to this role she has been a CASE lead accreditor for a number of years, has developing clinical competency guidelines and been involved in accreditor training days for CASE and accredits for the Society and College of Radiographers. Gill is involved in the wider ultrasound community as associate editor for the journal “Ultrasound”, as an ultrasound advisory board member for the Society and College of Radiographers, external examiner for ultrasound programmes and in the development and editing of on-line resources and CPD quizzes for the e-learning for healthcare (www.e-lfh.org.uk/home) obstetric modules. She has a keen interest in ensuring high quality ultrasound education, teaching ergonomics in ultrasound and breaking bad news to ultrasound and medical students and developing clinical teaching skills for ultrasound supervisors and mentors. Vivien has been a practising sonographer for over thirty years. She has worked in the NHS and the private sector, performing a range of types of ultrasound scans. She moved into the education sector 17 years ago to set up a postgraduate MSc Medical Ultrasound course, but has always continued working as a sonographer during that time, in order to ensure she retains and develops her practical ultrasound scanning skills. Her current role is Ultrasound Programme manager at the University of the West of England and she is passionate about ensuring high standards of education are maintained within the sonography profession, despite the challenging economic climate. She has published widely on ultrasound scanning topics and has recently successfully completed her DPhil. She has been a CASE accreditor for over 10 years and became a CASE committee member in 2012. After graduating from the University of London in 1981 with a degree in Physics with Medical Applications, Valda worked in the Medical Physics department at Southampton university for over 13 years. During that time she contributed to the development of the use of ultrasound to assess vascular disease, and obtained her PhD there while working full time. In 1995 Valda moved to Cornwall and set up the Vascular Studies Unit based at Royal Cornwall Hospital and covering the whole of the county. Over the years Valda has done some teaching at Southampton, Bristol and Exeter. Valda has been involved with the Society for Vascular Technology for several years, obtaining her Accreditation in 1995. She has had roles on the SVT Executive and Education committees in the past. Mary-Ellen qualified as an SVT accredited Vascular Scientist in 2005 and completed a CASE accredited Post Graduate Diploma in medical ultrasound in 2007 in general and small parts ultrasound. Her career started at the Royal United Hospital in Bath and Gloucestershire Royal hospital, after which she went on to successfully set up, modernise and manage vascular ultrasound services for Dudley Group of Hospitals and a cross county service for Worcestershire NHS. Over the last 12 years, Mary-Ellen has divided her time between teaching and mentoring, clinical practise and management. She has mentored and taught a range of personnel from complete beginners to Consultants in mainly vascular ultrasound through a variety of university and scientific training programmes. She is an advocate for comprehensive and correct training of personnel in all modalities of ultrasound. Mary-Ellen has been a member of the Professional Standards Committee for the Society of Vascular Technology for over 5 years, and continues to teach and mentor personnel in new ultrasound modalities at the Wye Valley NHS Trust as well as continuing her own learning in clinical practise.